FastFund Online is a fully integrated cloud-based, software solution specifically designed for nonprofits. You can choose any or all FastFund modules to handle your back office needs including fund accounting, fundraising and payroll. Since it runs in the cloud, you can access FastFund from any web browser, on any device — Mac or PC. You get an affordable, easy-to-use, cloud-based solution capable of generating FASB 116, 117 and other required financial reporting. With FastFund Online, your day-to-day tasks are a cinch. Now you can reduce the time it takes to manage your administrative tasks by as much as 90 percent and take control of your financials by becoming more accountable and sustainable. Do we have to buy all three applications? No. FastFund Online is a modular system, so you can choose the modules that address your most important needs. By combining accounting, fundraising and payroll in one solution with one database, FastFund Online eliminates the headaches of trying to export and import data from different systems. This will save you time when trying to reconcile data, and improve office efficiency, which saves you money. What is fund accounting and why do I need it? 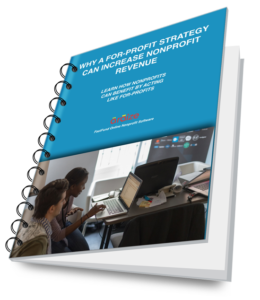 Nonprofit fund accounting presents many challenges too tedious to be handled using outdated spreadsheets and off-the-shelf software. If you find yourself spending several hours fiddling with spreadsheets and struggling to generate required reports for your auditors, then you are ready for FastFund’s affordable and simple nonprofit software. At the heart of the system is an intuitive chart of accounts design that does all the heavy lifting to track both financial and operational data in real time. With FastFund Online, your nonprofit can become more accountable and fulfill your mission. But, I thought nonprofits don’t like fund accounting anymore? FASB-116/117 changed the reporting for nonprofits to classify their revenue as either unrestricted, temporarily restricted, or permanently restricted and changed the use of the term Fund Balance to Net Assets. This is really nothing more than a change in terminology where Fund Balances are the same as Net Assets. The use of fund accounting will continue to be appropriate for many organizations for keeping their financial records for internal reporting to management, funding sources and the board. As a nonprofit, you are free to use any method of record keeping you wish, as long as the final result – the financial statements seen by the public – are in the proper form. External reports should conform to the rules of generally accepted accounting principles. Internal reports (for management, funding sources, and the governing board) should include information and be formatted in such a way that they are most useful to the decision making process of those receiving the reports. So, why can’t I use QuickBooks or another off-the-shelf accounting system? QuickBooks is the most used accounting software on the market, but unfortunately QuickBooks doesn’t do fund accounting. Lots of accountants will recommend using classes in Quickbooks to get the segregation of financial activity a nonprofit needs for funds, functional areas, programs, funding sources, grants, etc. But, in QuickBooks, you get two data elements, Account and Class for coding transactions, and this severely limits reporting. Jobs is a third data element, but is not universally available in the QuickBooks report structure. If your organization requires reporting on more than two dimensions, QuickBooks simply can’t handle it and a majority of financial reporting must be done outside the system in spreadsheets, which can create internal control deficiencies. What about QuickBooks for Nonprofits? QuickBooks for Nonprofits is essentially the same program as the regular version of QuickBooks. The only difference is customers are called donors, sales receipts are called donation receipts and accounts receivable is called pledge receivable. QuickBooks for Nonprofits still has the same limitations when it comes to fund accounting. Important: The Balance Sheet by Class report is an advanced report that differs from other QuickBooks reports. Specifically, QuickBooks calculates the class allocations for the report each time you run the report. Because of this, you may experience some unexpected results. Understanding and fixing these results requires a strong background in accounting and a good working knowledge of QuickBooks. Only use this report if you need a balance sheet broken down by class. Potential Problems: Net incomes differ between the Balance Sheet by Class and Profit & Loss by Class reports. The Balance Sheet by Class report makes calculations to balance a transaction’s classes. In some cases, this causes the net income for a class on the Profit & Loss by Class report to differ from the net income for that same class on the Balance Sheet by Class report. What is the difference between a Hosted Solution and a SaaS Solution? While both software delivery models provide you with the ability to run software over the Internet, there are major technological differences. A hosted solution is essentially Windows software that is being run on a remote computer.With a hosted solution, the application is housed on a server but the software is unique for each customer. Which means if there are one hundred hosted customers, there are one hundred separate installations of the application. If you want to integrate other solutions to your system, you usually have to have that solution supported and installed at the hosting center as it is difficult for local applications to integrate with hosted applications. Hosted solutions are typically used for older applications that don’t take advantage of mobile computing options. A SaaS solution is a web-based application that was written for deployment through the Internet. SaaS is usually referred to as a multi-tenant application, since there is only one instance of the software running on a server with unlimited number of customers. With a SaaS solution, there is only one instance of the software to upgrade and all data sets can be updated simultaneously. SaaS solutions typically allow for easy integration to other third party SaaS applications with nothing to install on the hosted servers and take advantage of advances in mobile computing. No, there are no long term contracts to use FastFund Online. You can pay on a monthly basis and cancel anytime. But, if you prepay for a year, you get one month free and can still cancel anytime and get a pro-rated refund. What is included in the licensing of FastFund Online? The monthly licensing fee includes use of the FastFund Online software, free post sales consulting to help you get up and running, unlimited customer support by telephone, email and web connection, free weekly training webinars, all future updates and upgrades to the software. Users also have access to the Araize Academy training videos. Your licensing fee includes free, unlimited telephone and email support and ongoing upgrades. We also offer monthly training webinars and online video training to get you up and running fast. How can you offer FastFund Online for such a low price? FastFund Online is designed to meet the unique software requirements of nonprofit organizations of any size. You pay only for what you need. We help you keep your costs down by allowing you to choose which modules are useful for your organization. You can get started for as low as $38 per month. You have the option of paying either annually or monthly. If you choose to pay annually, you get one month free. Our recurring monthly ACH secure payment system allows you to pay by check or credit card. You can get up and running as quickly as one day. Included with your FastFund Online license is unlimited support, online video training and monthly training webinars. In addition to that, you get free telephone, email and online chat support on our website. With FastFund Online, you don’t have to worry about system security. Your data is safely located on a secure server in a secure environment, protected via encryption techniques and passwords. There is no need to worry about an unscrupulous employee or anyone other than designated employees gaining access to your data. Since your software is hosted on a secure firewall and virus protected environment, you don’t need to be concerned about viruses or malware getting in your computer and corrupting your data. All your data is backed up daily, typically in multiple physical locations so you can rest assured you will never lose your data. We offer two ways for you to try before you buy. Choose a fully-enabled 30-day trial version and see for yourself how easy it is to get up and running. Once your 30-days are over, you can sign up and continue to benefit from the easiest and most affordable nonprofit software solution. If you would like to test it without entering your own data, we offer an online demo version that is already setup and populated with data. This will give you a faster way to evaluate the software.